It is quite simple to sign up for new online accounts at various retailers, social media outlets and other websites. Before too long, just about every internet user opens scores of different accounts, and in many cases, they’ll end up with more than they can even remember. Of course, as well as opening online accounts, you may sometimes decide you want to close them, whether that’s due to a change in the small print of the Terms of Service, or maybe you’ve simply got bored of the service in question (or perhaps accidentally created a duplicate account). You should be aware that some accounts offer a deactivation option, which allows the user to come back and resume their activities at a later date. However, if you take this route, your data won’t be removed from the company’s servers (it will just lie there dormant). 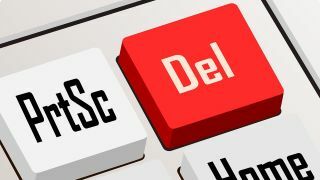 Should you want all your data removed – a ‘scorched earth’ approach to closing the account, as it were – then you’ll need to implement a full deletion of the account to remove it 100%, along with all posted content. If you’re okay with that – and bear in mind all that content will no longer be accessible to you – here’s how to close your account with five popular online services. Amazon remains the number one online retailer, raking in $178 billion (around £140 billion) in net sales last year, but perhaps you want to shop elsewhere? In that case, this is how to close your Amazon account, although be aware, when you’ve done so, you’ll lose access to any online reviews you’ve previously posted, or any digital content you’ve purchased (such as songs from Amazon Music). There is an informational page – entitled ‘About closing your account’ – that details precisely what you are losing access to. Unfortunately, there’s no direct way to close your Amazon account. Rather, the process is to go to the ‘Contact Us’ page, which is at the bottom of the closing your account page, which next proceeds to a sign-in box. This then asks the user to go through various options, and none of them are to delete the account – so this becomes a ‘write in’ request. It seems that Amazon doesn’t want to see its customers leave! Facebook continues to be the top social media site, with 2.23 billion monthly active users for Q2 2018, and 1.47 billion logging in daily. For those who want to leave the site, Facebook offers the option of a deactivation, which will preserve the account owner’s data for later use, and there’s also a more permanent approach of account deletion. With the latter, everything that has been posted will be permanently removed, and the user will lose access to the Facebook Messenger service, plus other services that can be used with a Facebook login, like Spotify, will no longer be accessible via that means. To proceed with account deletion, access Settings by using the down arrow in the top right-hand corner of any Facebook page. Then click on Your Facebook Information, where there is an option for deleting the account – you’ll need to enter your password. Users get a 30-day grace period to cancel the account deletion if they change their mind. Your Google account oversees access to many of the company’s major services including Gmail, Google Drive, Google Hangouts, Google Calendar and Google Photos among others, not to mention that it’s tied in to your Chromebook and Android smartphone, if you own one. Note that deleting your Google account will mean you lose access to music and movies on Google Play, too. However, if you’re still convinced you want to get rid of Google from your online life, you’ll find the method of doing so among the Google Help pages, where there’s an entry on how to ‘Delete your Google account’. During this process, Google will point out all the data you will lose access to, and in the third step, at sub-step number one, the link is provided to go ahead with the deletion, whereupon you will first be prompted to sign into the account. On the following page you will be shown all the Google services that have been used with your Google account, and you’ll be given an opportunity to download any data you wish to keep. At the bottom of the page, there is an acknowledgement that you wish to proceed, and the account is then deleted. There is also an option to recover a ‘recently deleted’ account, although there is no timeframe given on how long you have to reactivate a deleted account. Instagram remains a popular image-focused social media platform, with approximately a billion active monthly users, and over 100 million photos and videos uploaded daily. However, if you’ve grown tired of the service, here’s how you can exit stage left. Like other sites, Instagram does offer – and indeed likely encourages – the option to temporarily disable an account, so users can take a break, and potentially resume their activity at a later date. The account deletion option is permanent, and removes the profile, images, videos and comments in one fell swoop. For those that wish to proceed, Instagram’s aptly named ‘Delete your account’ page is the starting point of the process. In the first step, Instagram provides a link to commence the deletion process which requires logging in. Smartphone junkies should be aware that this requires a login from a computer, and it cannot be done from within the phone app. A reason for the deletion needs to be supplied, and then you can click to ‘Permanently delete my account’ to seal the deal. Your Microsoft account, with its single sign-in, is connected to many other services, including the popular Outlook.com webmail service, the Office 365 online suite, Xbox Live, the Skype messaging service, and OneDrive. Furthermore, bear in mind that if you use a Windows PC, you need your Microsoft account to log into it, making this a pretty essential account for most users. It’s also worth noting that if you do wish to go ahead with deleting your Microsoft account, any money inside it will be lost when the account is shut down. To close your account, head over to this informational page appropriately called ‘How to close your Microsoft account’. Then look for the section halfway down the page entitled ‘To close your account’, and follow the link provided in step one. This will prompt you to sign in to your account – which is an important step to verify that the genuine user is requesting this deletion – the correct account is then confirmed, a reason for closure is selected, and the account can be marked for closure. Be aware that Microsoft states that it waits 60 days before deleting your account forever, and during that time, the account can be reactivated should you change your mind.